In Part 1 we discussed a target of 20-50 grams per day of the fiber types considered “fermentable” or “prebiotic.” In Part 2, I confused things a bit by showing you that it’s nearly impossible to accurately count fiber. This post is not meant to lead you to the conclusion that you need a fiber supplement, nor am I recommending one brand over another. I am including lots of Amazon links simply because that’s how I shop mostly, and it gives us a common reference. The lists provided here are not all-inclusive. If I missed any, feel free to mention them in the comments. Looking through PubMed at studies to determine which fibers have prebiotic potential is a much different prospect than shopping for a fiber supplement that will feed our gut microbes. We found out that it’s not so easy to get 20-50 grams of fermentable type fibers in your normal day, and vacations or events make eating ‘right’ even harder. A good solution is to use supplemental fibers smartly. It can be a good habit to take a couple spoonfuls of various prebiotics every day, or on days you don’t eat like you know you should. While it does seem that numerous manufacturers have cracked the code on probiotics, a google search for prebiotics is pretty bleak. The things that are called “prebiotics” range from cellulose to inulin, and are often accompanied by the warning: “Statements not FDA approved.” Additionally, the amounts of prebiotics contained in some of these supplements is laughable, although there are some great products starting to appear. 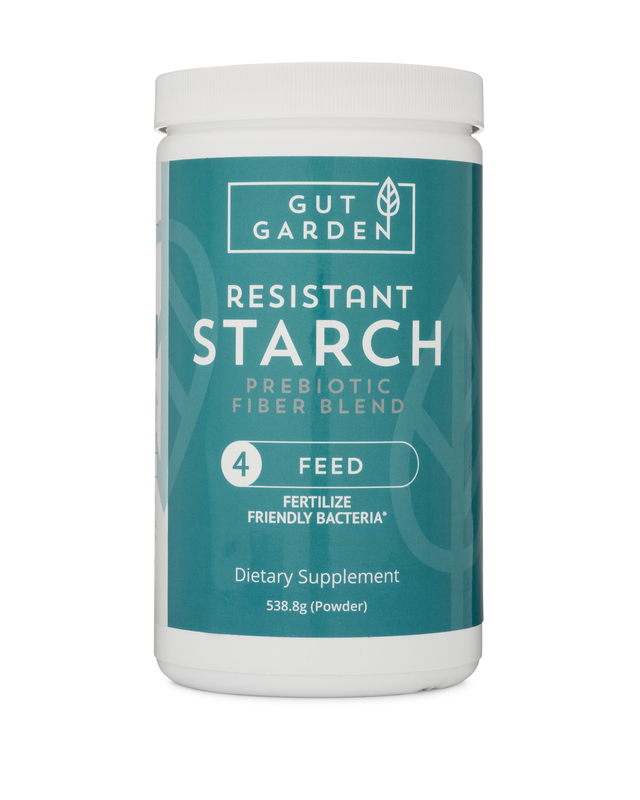 Gut Garden Resistant Starch Blend (potato starch, glucomannan, acacia senegal, chicory root inulin and larch arabinogalactan). Prebiotic+ (potato starch, green banana flour, Inulin, Ceylon Cinammon). Oligo30 (potato starch, fructo-oligosaccharides (FOS), xylo-oligosaccharides (XOS), galactooligosaccharides (GOS). The word ‘fiber’ seems to strike a chord with the consumer! Fiber comes in capsules, tablets, drink mixes, and gummy form. There are children’s blends, adult blends, and blends for every gastric distress imaginable. It’s obvious that lots of marketing thought goes into fiber sales. The first fiber listed on a quick Amazon search was Fiber Choice. In small print, it says, “a prebiotic fiber supplement.” Their 100% Natural Fiber product contains: “Inulin sorbitol, corn starch, microcrystalline cellulose, dextrose, citric acid, magnesium stearate , natural and artificial flavors, and the colors red 40 lake, blue 2 lake, blue 1 lake, FD&C yellow 5 lake.” Really. To their credit, the fruit flavored, chewable tablets are indeed ‘sugar-free.’ Each of the 220 tablets contain 3g of soluble fiber. The next on my search list was Vitafusion’s “Fiber Well Fit with B vitamins.” Fiber Well Fit contains 90 gummies that provide about 2 grams of fiber each, containing: “Polydextrose, Xylitol, Gelatin, Natural Flavors, Malic Acid, Colors (Purple Carrot Juice Concentrate, Blueberry and Carrot concentrates, Annatto extract), Sucralose, Fractionated Coconut Oil, and Beeswax.” These must be good, though. They won the “American Culinary ChefsBest” award. There is even a supplement called “FiberCON.” What a fitting name! Each capsule contains: “Calcium Polycarbophil (625 Mg Equivalent to 500 Mg Polycarbophil). Inactive Ingredients: Caramel, Crospovidone, Hypromellose, Magnesium Stearate, Microcrystalline Cellulose, Polyethylene Glycol, Silicon Dioxide, Sodium Lauryl Sulfate.” The manufacturers of this sure picked the right name! Don’t be conned into buying this! First off, be an informed consumer. There is something for everyone if you know what to look for. Shun artificial colors and flavors. Pass on any fiber that is loaded with chemicals of any type! Sodium Lauryl Sulfate? Really? Polyethylene Glycol? In a product advertised for improved gut health? Fuggedaboutit! The word “cellulose” should also raise a red flag, especially if it is one of the main ingredients. Every single one of these can be found in its isolated forms without any fillers or additives, I’ve listed most of these in my Amazon Store for convenience. Thirdly, consider making your own proprietary blend of prebiotic fibers. For instance, create a jar containing fibers that are all water soluble, and another jar containing fibers that don’t mix so well with water. Many of these on their own are pretty worthless as a prebiotic. The Larch AG, for instance, while a great…maybe one of the best…prebiotics on the list, it’s small serving size and price make it inconvenient to use as your only prebiotic. Psyllium Husk is another, that on its own is probably not a super-powerful prebiotic, but one that adds synergy to all the others in its ability to spread the fermentation process throughout the colon. I think the beauty of creating your own blends is in the creativity. In nature, one of the most abundant fibers found in edible plants is inulin. When in the plant, inulin is connected to another fiber called FOS (fructo-oiligosaccharide). Food processors have figured out ways to separate inulin from FOS. The reason is that inulin and FOS are used separately in processed foods to add fiber, sweetness, or some other property that makes them more tasty with less calories. When shopping for inulin, you will sometimes see it listed as “inulin,” “inulin/FOS,” “short chain (sc) inulin,” or some other configuration. Personally, I do not think it makes much difference which type you use. Also, you will see that inulin is typically from two sources: agave and chicory root. Again, I do not think it makes any difference which you use. When creating a prebiotic fiber blend, keep an open mind and don’t be afraid to be wrong. This is all about hedging your bets. As you’ll be taking a couple spoonfuls of this stuff daily, and maybe even sharing with others, it may be wise to bulk up on the cheaper fibers. If you can get a good deal, take advantage of it! If you can’t find your desired prebiotic in a powder form, buy capsules and dump the contents into your fiber blend. Don’t be afraid of just using a single fiber, either. If you can get a good buy on inulin or potato starch, use those for a while. As long as this is in addition to an otherwise healthy diet filled with real plant fibers and diversity, there will be no harm. Know how your fiber will react! Try it out first before it goes into your blend. If your preferred way of taking fiber is to mix with water, you do NOT want much (if any) guar gum or xanthan gum…trust me. 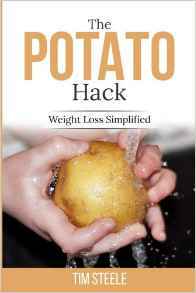 A suggestion: Make your fiber blends at least 50% inulin, 50% potato starch, or 50% Hi-Maize. To make this process as natural as possible, use the fibers found in large quantity in nature. The ‘superfood’ market has gone crazy! You can find various exotic powders that you may want to try from time-to-time. You can find Amla powder, Maca powder, Baobab powder, and more. These powders aren’t necessarily prebiotics but contain interesting nutrients that may very well be healthy for your gut. No harm in rotating them in your fiber jar. Try them out before dumping in, though…some are not so tasty! When deciding how much of this to take, don’t worry about counting grams or trying to dose accurately. You can figure that a heaping spoonful is about 1TBS and weighs about 8 grams. Find your comfort zone. Start out with 1 small spoonful and see how you react. Even just 1 small spoonful of these prebiotic fibers will more than double most people’s daily fiber intake! It’s that easy. If you want to try mega-dosing, there’s no harm in that, either. Be warned that some of these fibers (gums, glucomannan, psyllium) swell tremendously in water! Be careful you don’t choke on it…there are warnings on the bottles for a reason. Others, like inulin, just dissolve in water and you don’t even know it’s there. Every living human needs to feed their gut microbes. Many have trouble (bloating, pain, excess gas) when trying to accomplish this. Certain gastric dysfunctions can make prebiotic supplementation and even real foods very hard to eat. If prebiotics cause you discomfort, don’t keep on doing it! Find the cause of your discomfort. If you are worried about any of this, check with your doctor…but expect to see some rolling of eyes. Read all about prebiotics and fermentable fibers. Lots of resources right here on this blog, but other opinions are easy to find. A good “gateway” fiber that will do you some good and not set you back a fortune is inulin. The stuff that Metamucil sells as “Clear and Natural” is a good product, 100% inulin, no fillers. If you’ve read about resistant starch and want to try, buy a bag of Bob’s Red Mill Unmodified Potato Starch or Hi-Maize Corn Starch and try adding a spoonful or two of that to your diet. Soon you will be a fiber-snob and start seeking out other amazing foods for your gut microbes. One of the biggest benefits to becoming your own advocate in the fiber aisle is the ability to change things periodically. Using a supplement is, after all, unnatural. Taking the same supplement, therefore, day after day, month after month, should strike something in you as inherently wrong. Don’t let your gut bugs get too comfortable! Keep them guessing. And please, please don’t forget about real foods! How will you tell if what you are doing is working? Simple. How is your digestion? If you are too gassy consider lowering the dose until you aren’t. Your bowel movements should be regular and pleasant. You shouldn’t be fumigating the house when you use the toilet. If you ‘let one slip’ while in a crowded room, the only embarrassment should be from the noise…not from people plugging their noses and running away with watery eyes! Foul smells, painful bathroom breaks, and constant fear of diarrhea is not natural. Nor are upset tummies, constipation, heartburn, indigestion, and nausea. Longer term bonuses to raising your fiber intake may be seen in lowering blood pressure, blood glucose, cholesterol, sleep improvements, and weight management. Remember, this is not a quick-fix, miracle cure…it’s a lifestyle change! If you feel you need to supplement a portion of your fiber needs, you will have to take matters into your own hands. Don’t rely on the manufacturers telling you what you need to take, but use their ingredient lists to make your own custom blends. Creating your own blends of prebiotic fiber and dosing them according to your needs is a much better plan than buying the first eye-catching jar of “Fiber*” you see and taking it according to the manufacturer’s recommendations (do heed their warnings, though! ).